Master Chief may be staging an invasion of Showtime. 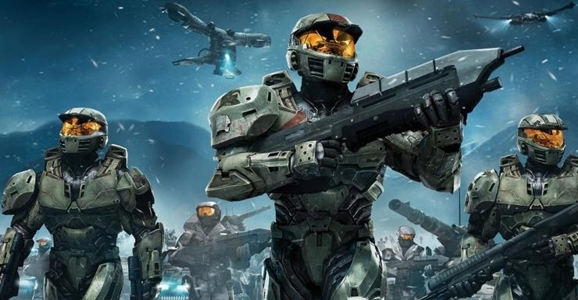 We’ve been following the development of the Halo TV series for a while now, especially since Steven Spielberg is on board as a producer. Up until now, the plan was that the Halo series would air as exclusive content for Microsoft’s Xbox One console, part of Microsoft’s recent Netflix-style push to develop original content. Now, however, it looks like Halo may get a more traditional home, at least at first. Variety reports that Xbox Entertainment Studios is negotiating with Showtime to co-develop the series, a deal which would allow the show to air on the cable network as well as on Xbox. There will be some incentives for people to check out the Halo series on Xbox, even if they do have Showtime. Variety says the Xbox versions will include “enhanced interactivity.” That could mean just about anything, but one likely possibility would be compatibility with Microsoft’s SmartGlass app for tablets and phones. SmartGlass could allow viewers to sync up with the episodes and view making-of features, interviews, commentary, and the like. And given that we’re talking about a game franchise here, it could also have some sort of crossover with future Halo games. Maybe interacting with the show via SmartGlass would allow you to unlock special weapons or gear in the games. The possibilities are endless. Variety says screenwriter Stuart Beattie (G.I. Joe: The Rise of Cobra) has put together a massive bible for the series, which is understandable since the Halo mythology has become pretty dense thanks to tie-in novels, comics, and so on. Apparently Beattie won’t be the showrunner for the series, but Variety says a deal is in the works with a pair of showrunners to oversee Halo‘s expansion into scripted series “television.” There’s no word what this deal might mean for the other Halo project that’s in the works with Ridley Scott. The Variety story doesn’t provide any updates on this element, but at one point Neill Blomkamp was rumored to be directing the Halo pilot. That would have to give the District 9 director some serious deja vu; years ago he teamed with The Hobbit director Peter Jackson to try and get a Halo feature film made, but it eventually collapsed. Regardless, a quick trip to YouTube makes it easy to get a glimpse of Blomkamp’s vision for what live-action Halo should look like. You can check out the Halo short Blomkamp directed below.